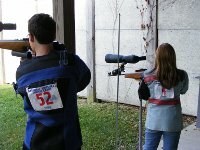 The Cresap Rifle Club proudly sponsors a Jr. Rifle Team composed of youth between the ages of 10 and 18. As part of its mission The Cresap Rifle Club develops young shooters into expert marksman with a respect and appreciation for the shooting sport. The Jr. Team holds weekly practices with top notch equipment and NRA Trained coaches. 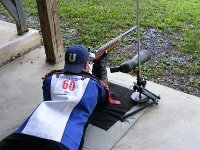 The team regularly completes in NRA sanctioned local events and attends the annual Camp Perry Matches. Over the years Cresap Rifle Club has develop shooters with skill good enough to earn scholarships and awards, but more importantly they cultivated a relationship with the next generation of shooting enthusiast. It is our hope that these young people will build upon their positive experiences and carry on the traditions and values our society has identified a part of the American Way. As you can image this program is very popular with young people. If your child is interested or you are interest in assisting our coaches please contact the Jr. Rifle Team coach.